West Virginia is a proper noun. West Virginia is (1) a state in east central United States. The following articles provide more information about the term West Virginia. Charleston is the state capital of West Virginia. Learn about the West Virginia state government operations and services. 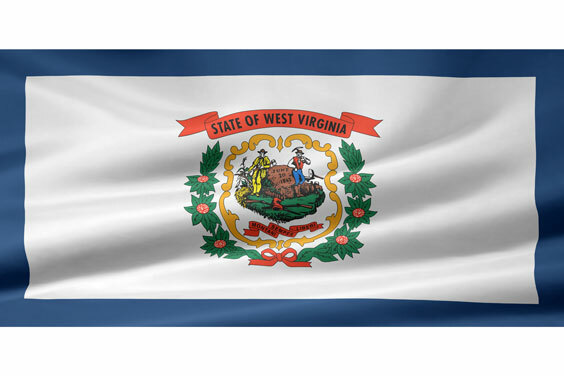 Find information about West Virginia business and education; read about living, learning, and working in the Mountain State. West Virginia is the 41st largest USA state, surrounded by Pennsylvania, Maryland, Virginia, Ohio, and Kentucky. Visit this site to learn more and find printable road, topo, and relief maps of West Virginia. Learn about urban, rural, and suburban real estate markets in West Virginia. Real estate agents, buyers, and sellers will appreciate the West Virginia real estate resources on this page. West Virginia state history, geography, and travel information are the subjects of this West Virginia atlas page. This National Park directory page lists National Parks, Historic Landmarks, and Natural Landmarks in the State of West Virginia. An interactive West Virginia map, plus photos and highlights, are included thereon. WVU is a public, land-grant institution established in 1867, and located in Morgantown. There are over 27,000 students and 1870 faculty members. 35% of the degrees awarded are graduate or professional degrees. The WVU School of Pharmacy is considered one of the top 10 in the country; there are also schools of law, medicine, nursing, dentistry, & journalism. Application information on the website. Kentucky is the 36th largest state in the United States, and is bordered by Indiana, Tennessee, West Virginia, Missouri, Ohio, Virginia, and Illinois. Maryland is the 42nd largest state in the USA, bordered by Pennsylvania, Virginia, Delaware, West Virginia, and the Atlantic Ocean. Visit this site to learn more about the state and find printable maps of Maryland. Ohio is the 35th largest state in the USA, bounded by Pennsylvania, Indiana, West Virginia, Michigan, and Kentucky. Visit this site to learn more about the state and view printable maps of Ohio. Pennsylvania is the 32nd largest state in the USA, bordered by New York, Maryland, New Jersey, Ohio, Delaware, West Virginia, and Lake Erie. Visit this site to view printable road maps of Pennsylvania. Virginia is the 37th largest state in the USA, bordered by Maryland, North Carolina, Kentucky, West Virginia, and Tennessee. Visit this site to learn more about Virginia and find printable maps of the state. The following articles provide recent West Virginia-related news. BBC News. Saturday, 20 Apr 2019 23:23:19 GMT. ABC News. Friday, 19 Apr 2019 15:11:26 -0400. Washington Times. Tuesday, 16 Apr 2019 04:46:05 -0400. Fox News. Thursday, 11 Apr 2019 22:07:50 GMT. Reuters. Monday, 25 Mar 2019 21:34:37 -0400. Toyota (TM) announces additional $749-million investment at five plants in Kentucky, Alabama, Missouri, Tennessee and West Virginia to boost manufacturing footprint. Zacks Equity Research. Zacks. Monday, 18 Mar 2019 12:36:00 GMT. Bibles and crosses were unharmed despite a fire at the Freedom Ministries Church in Daniels, West Virginia which burnt the walls of the building, according to ABC News. Newsmax. Tuesday, 05 Mar 2019 16:20:06 EDT. The PGA Tour's annual stop in West Virginia has a new date for the 2019-20 season. Joel Beall. Golf Digest. Tuesday, 05 Mar 2019 16:23:13 +0000. CBS News. Sunday, 03 Mar 2019 12:24:28 +0000. The following digital image illustrates the term West Virginia.